These depth and spacer keys are use to rekey locks you do not have the keys for. 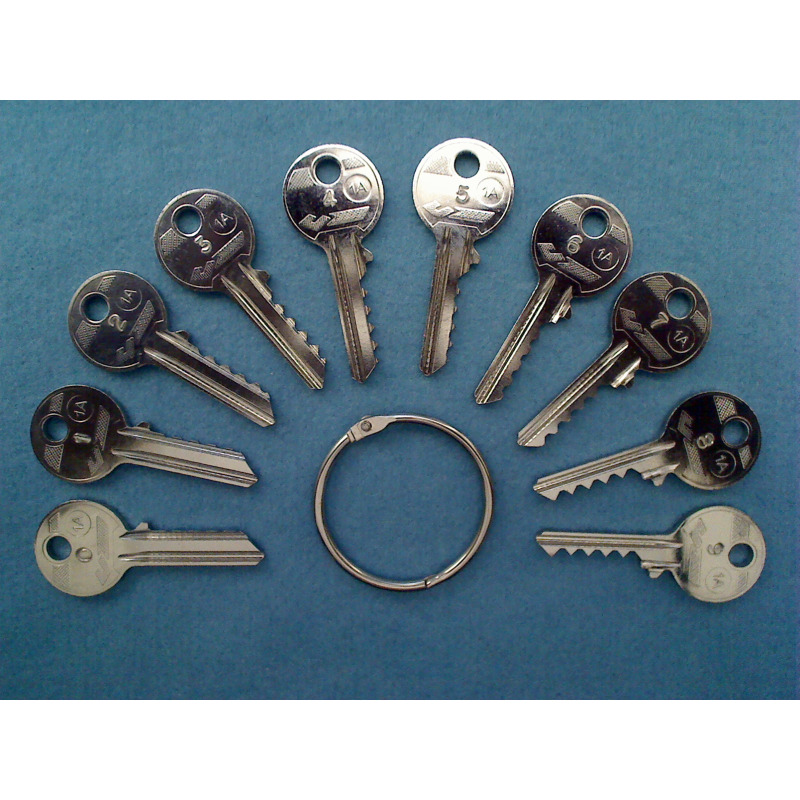 These are cut from JMA 1A blanks or equivalent. 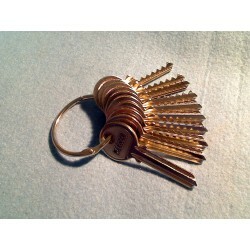 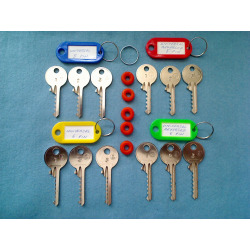 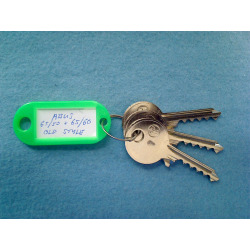 Each key in this set is individually stamped 0-9, supplied on a 50mm key ring and will include an id tag.